The Cottage Rental Agency offers rate specials and packages throughout the year for our Seaside, Florida vacation rentals as well as our Scenic 30A rentals. Take advantage of our limited-time specials or one of our year-round packages. 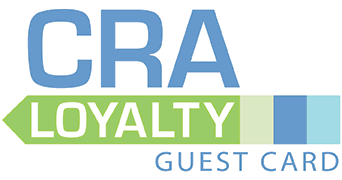 The Seeing Red Wine Festival in Seaside, Florida, is one of the most highly anticipated events of the fall season, and CRA is proud to be an official lodging sponsor. We are able to offer our guests discounts on lodging AND exclusive ticket pricing for both Friday and Saturday events. Stay where it all happens! Receive 1 night free when you book 2 during the Festival. For those who want to stay only 2 nights, we’ll offer 15% off your stay. Book your stay with us and enjoy preferred pricing on event tickets. Reds, whites, and rosés will be uncorked during Seeing Red Wine Festival, four days of wine and culinary events being held in Seaside Nov. 8 – 11, 2018. Now in its 28th year and recognized as one of the “Top 10 Can’t-Miss Fall Wine Festivals” by Fodor’s Travel, the festival draws attendees from around the world who make the trip to the iconic beach town a yearly tradition. For more, see the event website. plus preferred pricing on Seeing Red Wine Festival event tickets. Good for participating cottages on new reservations only. Offers cannot be combined.